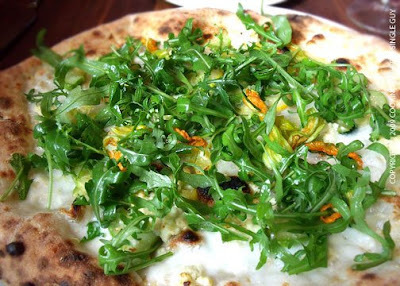 People are going crazy for pizza in the Bay Area. It seems like there’s a new pizza place popping up every week, especially ones serving up those thin-crust wood-burning variety. Ken and I both got a glass of Italian red wine to start, and then jumped into the menu with the help of our well-informed server. Ken is a vegetarian who also eats seafood (he told me a term for it and I forgot already), and that night’s menu seemed to cater to him because it was mostly vegetables options with a couple of meat dishes for entrées. 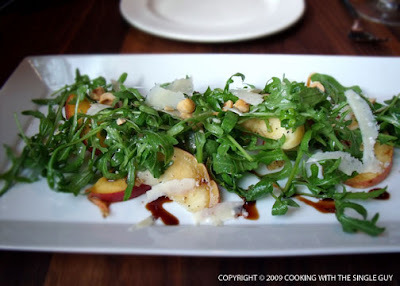 We started by sharing the seasonal White and Yellow Peach Salad ($8), which was made primarily with wild arugula and dressed with hazelnuts and saba. This was the first time I tried saba, which I’m starting to see more often on menus. Saba is a fruity sweet dressing that reminds me a lot of aged balsamic vinegar, but not as tart. It was a nice complement to the ripe peach slices, but I thought the salad was really distinguished by the nuts, which added a nice crunchy texture. We also shared the Biancoverde pizza ($15), which is a white pizza because it doesn’t use any tomato sauce but uses ricotta and mozzarella cheese as its base. The pizza looked huge and had the puffy, slightly burnt edges you see often from artisan pizzas. The pizza was topped with summer squash and squash blossoms and a whole lot of arugula. (We should have thought out our orders better considering the salad was mainly arugula as well. Oh well.) Overall, all the flavors were just pitch perfect, with the ricotta blending with the squash and the slight juices accentuated by the salt. The crust, however, was a bit disappointing. It was already soggy in the center from the ingredients. While I appreciated the fact that the pizza dough had flavor, I didn’t think it was necessarily that different than other good pizzas I’ve had in town. I definitely wouldn’t call it the best. What may be the best, however, is Flour + Water’s pasta. There’s a nice assortment of pasta dishes, all hand-made. 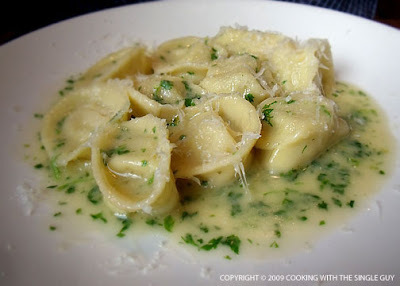 And Ken ordered the special of the day, a Cappelletti ($16) sitting on a sweet corn puree. What was so amazing about this pasta (which looks a lot like won tons to me), was the milky texture of the cheese used as a filling. The flavor was so fresh like drinking milk but still creamy. Ken let me try a piece so I could tell you about it but I so wanted to eat his whole plate. 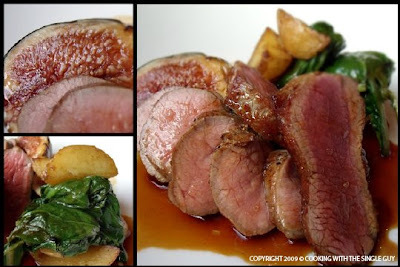 Instead, I got the Roast Lamb ($20), which was served with spinach, potatoes and figs. The lamb was served in two parts: seared leg and loin pieces. They were nicely cooked, retaining a lot of the juicy elements of the lamb meat, but the flavor wasn’t anything different. It was solid but not as exciting as the pasta. 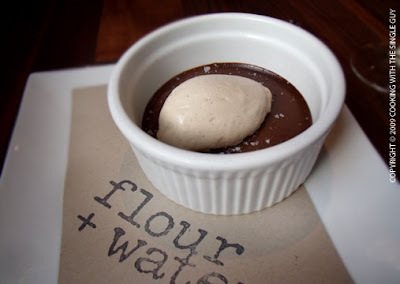 We ended out dinner by sharing probably one of the most popular dessert at Flour + Water — the Chocolate Budino with Espresso-Caramel Cream and Sea Salt ($7). The budino is a dense chocolate custard similar to crème de pot, but it was so dense that it reminded me of a flourless chocolate cake. I always like any chocolate dessert paired with sea salt (I know it’s so 2007 but I still enjoy the pairing) and I especially like the delicate scoop of espresso-caramel cream that really added to the experience of this dessert. I’ve tried a few new Italian places lately, but I have to say Flour + Water really delivers in the sophisticated-yet-rustic creations coming from the kitchen under the helm of Chef Thomas McNaughton, formerly of La Folie and Quince. 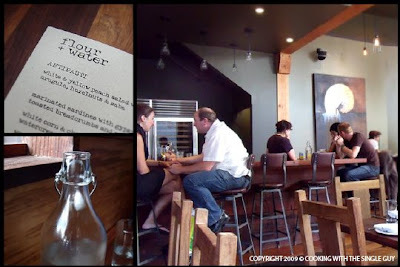 The warm wood interior also adds to the richness of this location, and the communal table and bar in the front are probably the hottest spot to eat and be seen. I wish this was my neighborhood Italian spot because I really dig its earthy vibe and fantastic pasta. 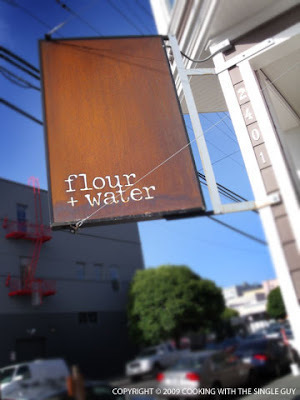 Flour + Water = Satisfaction. Nice review. I've been wanting to try this place too, though I have heard mixed reviews on the service. Sounds like going for the pasta and ambiance is reason enough, even if the pizza isn't all that. Oh, I'm with you on the chocolate and sea salt combo! Hi, I recently found your blog and like your articles! 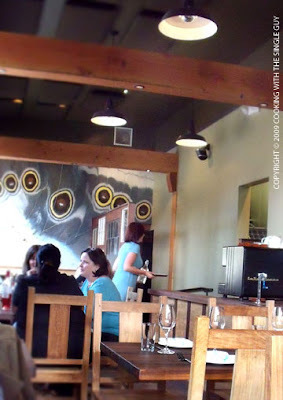 Burpandslurp (great name, BTW), I didn't see any gnocchi, but the menu changes almost daily. I guess whatever they feel like making. But I bet any pasta dish you try you'll enjoy! this place looks amazing, extremely high quality food -- wrong city tho!